Have you ever imagined that gear ratio can be possible without gears? Interestingly right, what if system creates countless gear ratios? To create infinite gear ratio is an extraordinary thinking but is it possible? Yes everything is possible when it is a matter of automobiles. Manual gearbox or traditional transmission system has fixed number of gears and gear ratios. Metamorphosis of automotive technology is unpredictable and developed two pulley system of power transmission from engine to the wheel. The vehicle with continuously variable transmission (CVT) more popular in recent years and Japanese automobile companies are good at using this technology in their vehicles. 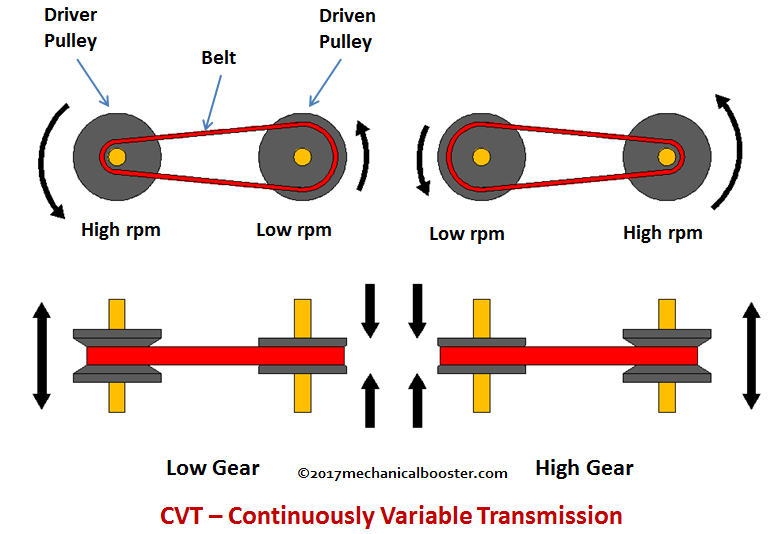 CVT is a simple and amazing mechanism which offers infinite gear ratios. The Formula One (F1) sport is a most prestigious form of racing in the world. In 1993 The Williams FW15C for testing purpose they fitted with the completely different mechanism for transmission of power from an engine to the wheels. This test model of Continuously Variable Transmission (CVT) technology was banned by F1 before hitting on the race track. 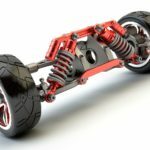 Because this technology used as driver aid which reduces the driver efforts from shifting gear without any action by driver and racing is not much challenging for completion. Another big reason behind the ban was CVT powered car is quicker than manual gearbox and at the same time, it produces more noise. Japanese automobile manufacturing companies adopted this technology and implemented CVT in a very effective way and successfully presented joyful and effortless driving experience to customers. Also Read: Torque Converter Working, Principle, Main Parts and Application. At an initial stage vehicle required more torque (Doesn’t required speed) to move further, that’s why bigger gear used as a first gear in the manual transmission. 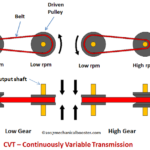 In Continuously Variable Transmission system, belt pushes the pulleys and as soon as the crankshaft rotates the primary or driving pulley’s movable sheave moves away from the static sheave which makes the smaller diameter of the driving pulley. Due to the same movement of sheaves at the same time secondary or driven pulley become larger in diameter which leads to creating greater torque at vehicle’s starting position. While accelerating, vehicle required high speed (Doesn’t required torque) for that driven pulley or secondary pulley diameter become smaller (smaller diameter more revolutions) as the moveable sheave moves away from the static sheave. Due to the same movement of sheaves at the same time, primary or driving pulley become bigger in diameter which creates gear ratio between them. One revolution at driving pulley is equal to four revolutions at the driven pulley. How sheave movement takes place? Inside the conical sheave, it has cylindrical rollers. These rollers are subjected to undergo centrifugal force. Sheave pocket placed upon the rollers which take the movement of inside and outside as per roller gets centrifugal force. 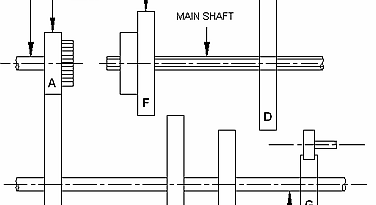 Whenever rpm increases or decreases these rollers pushes the pocket inside or outside. Push belt transfer the torque from driving pulley to the driven pulley. Two types of belts are used in continuously variable transmission. V-Shape Kevlar rubber belt is used in the scooter which has more flexibility than the normal rubber belts. V-shape rubber can easily travel and pushes in-between the two pulleys. Steel belts are widely used in CVT; the construction of this belt is very unique, stronger and flexible than the V-shape belt. The complex steel belt has thin individual steel rings (Circular steel ring) and the whole bunch of small toothed steel elements which can easily travel and pushes the pulleys at any rpm range. 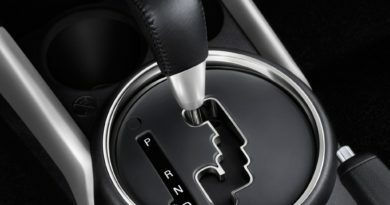 The manual and automatic transmission systems have complex working which depends upon gear shifting. There, two gears can achieve gear ratio, but in CVT two pulleys mechanism provides not only single gear ratio but countless or infinite gear ratio. Both are connected by a push belt, one pulley (Primary) is connected with the engine and another (Secondary) pulley with a drive shaft. Each pulley attached with moveable sheave which causes expansion and contraction of the pulleys at both ends. As the engine turns the primary pulley and secondary pulley diameter size gets changed due to moving sheaves of both pulleys. If one pulley’s size is decreased, at the same time second pulley’s size is increased and vice versa. The size variation of pulleys means diameters also varies which creates the continuous gear ratios. In manual gearbox input and output gear teeth decides the ratios, but here variation in diameter decides the ratios. Lightweight, compact, and easy to handle. Smooth shifting and it offers a smooth ride, No up and down shifting problem, and jerking can be eliminated. Reduces the fuel consumption (up to 6-10 percentage) and no power loss due to no gear arrangement. Better fuel economy and efficiency. 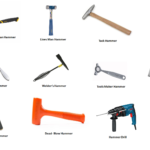 Very expensive and if any damage occurs it needed costly repair. Cannot transmit more torque and cannot withstand high horsepower because it is a belt driven system. Examples: Scooters and Cars, Honda Activa. Best CVT Cars available in India are Honda Amaze VX , Honda Civic, Honda City SV, Maruti Suzuki Baleno, Nissan Micra XL , Toyota Corolla Altis. ← How DTSi Engine Works – Explained?